New research shows that some old stars known as white dwarfs might be held up by their rapid spins, and when they slow down, they explode as Type Ia supernovas. Thousands of these could be scattered throughout our galaxy. 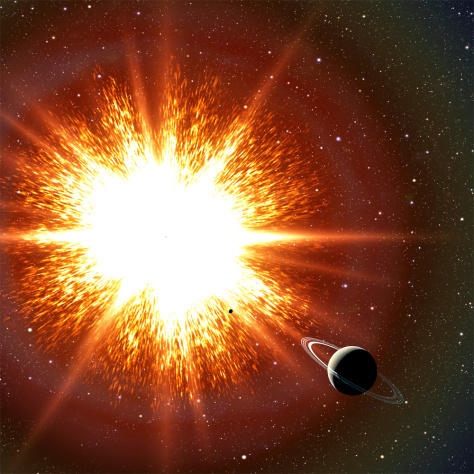 In this artist's conception, a supernova explosion is about to obliterate an orbiting Saturn-like planet.